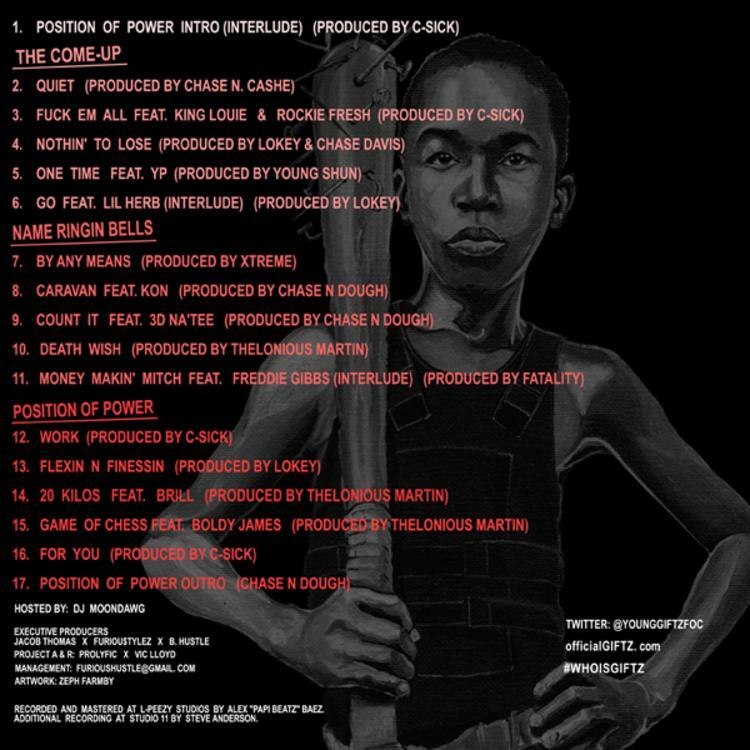 Chicago native Giftz delivers his new project "Position Of Power" which contains 17 tracks and lines up features from Freddie Gibbs, Boldy James, King Louie, Rockie Fresh & more. Bump Position Of Power, a new offering from Giftz, which was released on Tuesday, August 20th, 2013. Giftz's rap artistry continues to improve with every release, something which is most definitely evidenced on Position Of Power. His ever - expanding catalogue is definitely better for it, and we're looking forward to the next piece of the puzzle - aren't you? These artists are featured on the project: King Louie, Rockie Fresh, YP, LiL Herb, KON, 3D Natee, Freddie Gibbs, Brill, Boldy James. 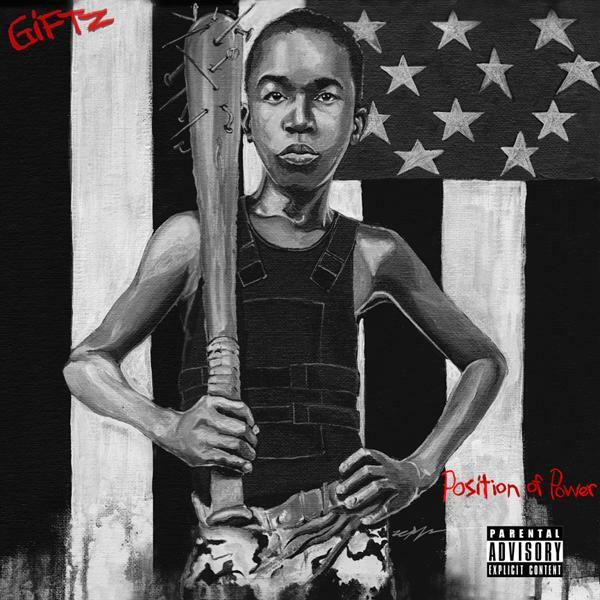 Check out Giftz on Position Of Power Intro. If you dig this, visit Giftz's profile for the latest info, news, songs, and mixtapes.